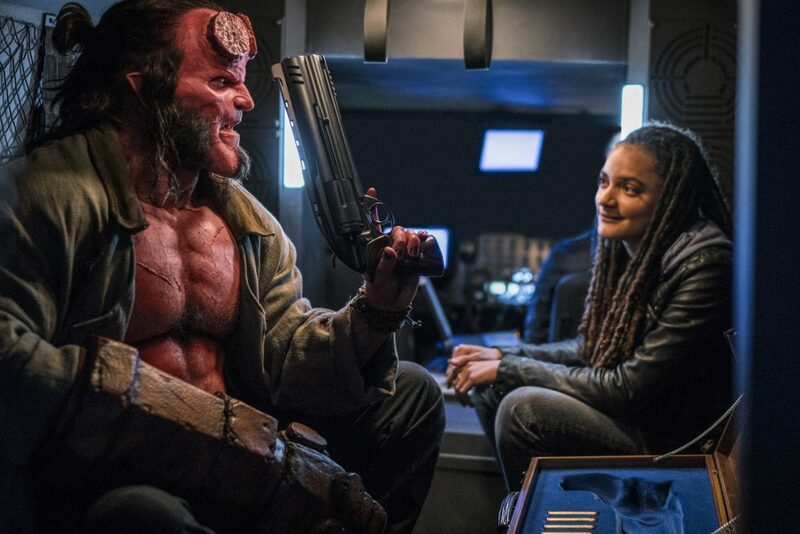 First and foremost, I think it’s safe to say that David Harbour delivered a solid performance as Hellboy. If there was any concern about whether he could fill the shoes of the former Hellboy, Ron Perlman, then I think many of those concerns can be put to rest. In my opinion, it’s a similar trade off to the likes of Michael Keaton as Batman and then going to Val Kilmer’s Batman. While Kilmer wasn’t exactly as good as Keaton, Kilmer was good enough within the role. Harbour captures the gritty and edgy nature of the character while also bringing a bit of balance when faced with emotional situations. He probably shined the best whenever he would engage in random banter with other characters. 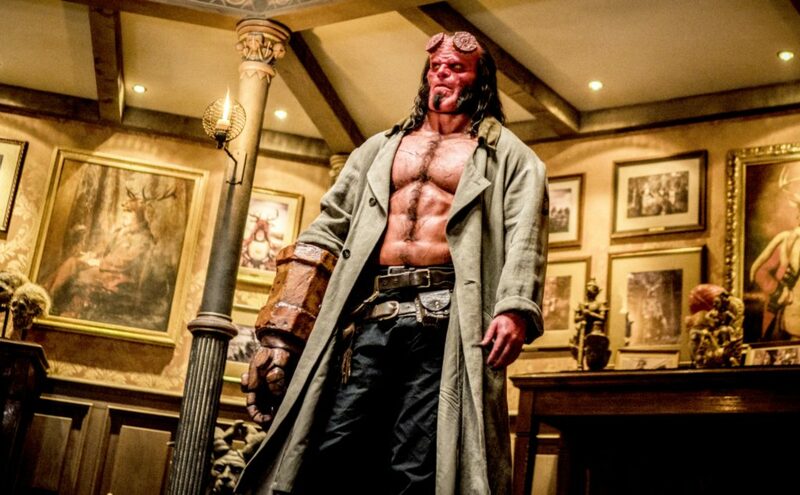 Thankfully, Harbour’s Hellboy was easily the most intriguing character and certainly holds your attention whenever he’s on screen. Moving on, I thought that the general setting for Hellboy was pretty solid. One element that worked for this film was the additional mythos that was introduced. 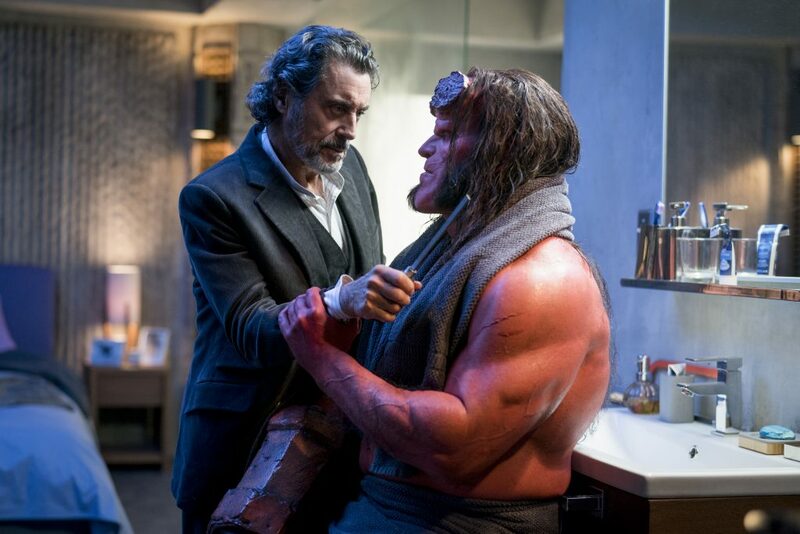 By having that additional exposition in the beginning of the film, we get a bit more backstory and context for Hellboy’s character. As a result, this helped to redefine this remake to have its own look and feel. Another positive factor within the effective setting came from the special effects used to illustrate a hellish atmosphere. A lot of the imagery used throughout the film echoed the literal look and feel of Hell. That was definite plus because that’s exactly what one should expect with a Hellboy film. Lastly, one thing that was really surprising was just how much bloody gore that was involved in this movie. 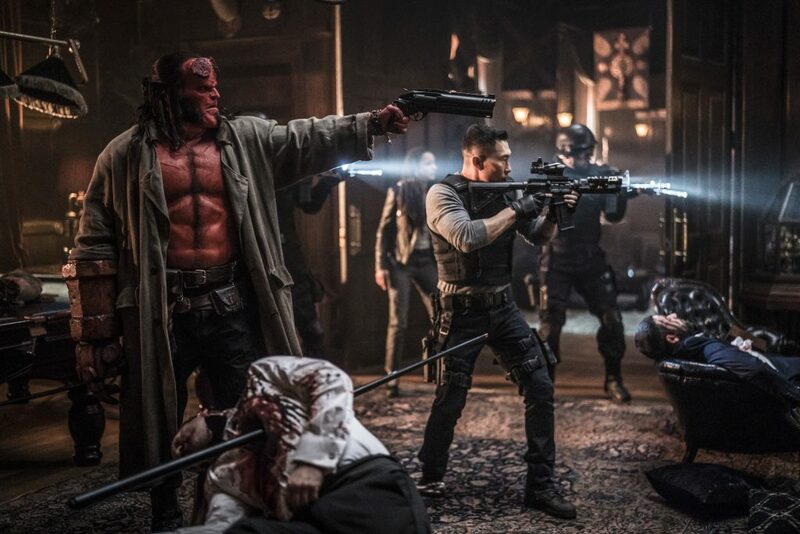 Hellboy did not shy away at all when it came to depicting extremely graphic violence and horrific carnage. The monsters and ghouls in this film were so terrifying that this movie could easily make people who are squeamish reach for a barf bag. For a point of reference, just imagine any Hellraiser movie, or for you anime fans, think of “Attack On Titan“. Well let’s start with the most obvious problem with this movie and that’s in the script itself. There was an avalanche effect with the script that affected so many areas. 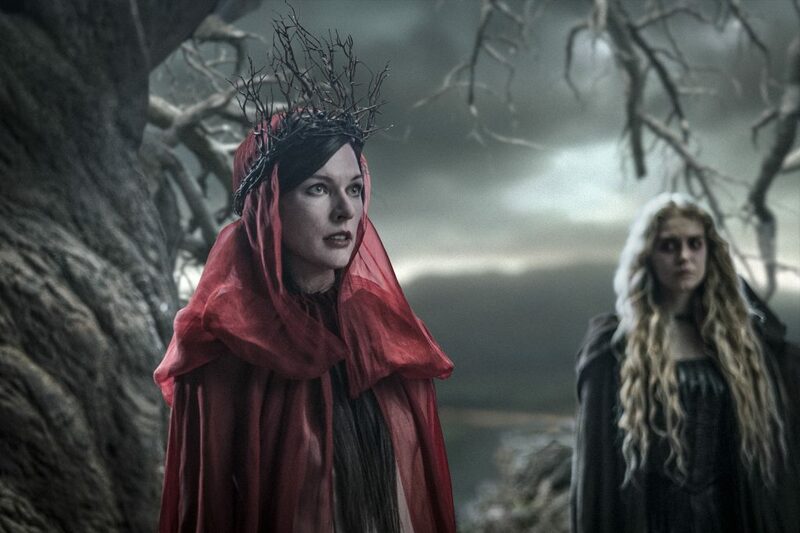 The first victim was the acting, especially with Milla Jovovich. The writing did her character absolutely no favors whatsoever. Jovovich is a fine actress. She’s been in bad movies before, and still shined bright despite it all. However, this was one of the few times where the writing severely handicapped her performance. You can tell she came in, did her lines, and gave it her best effort. Unfortunately, the lines she was given were just too bad and limiting. The next victim of the poor script was the plot itself. The story was just all over the place. We were introduced to characters in a poor fashion that sometimes felt strange. It was almost like if a friend brought you to a party, and started fraternizing with someone there, while you stood and watched, and only introduced you to the other person half an hour later. That awkward situation, without some sort of casual introduction was similar to how we were introduced to characters in this film. Rather than giving us a coherent narrative, we get a bunch of scenes that get followed up by flashbacks, and then we’re thrown back to the present. While this in itself isn’t a bad writing tactic, it was compounded with unnecessary scenes in the film. There’s a number of scenes that could’ve been removed to help make the overall plot much more succinct and coherent. The “Giant scene” could’ve been left out entirely, for instance. Never mind the fact that the scene I’m referring to made very little difference in the story, it was also shot incredibly poorly. The cinematography and editing also contributed to the number of issues within this movie. While some of the action scenes were shot in a decent manner, the editing in other scenes started to disrupt the overall tone of the movie. One moment we’re in a hellish, horror type of film, and the next it was some corny Ghostbusters wannabe type of movie. There were moments where I thought I was literally watching a scene from a CW TV show from the early 2000s. Which leads to yet another issue with this film and that was on and off again bad CGI. It was so bad that one of the main evil creatures looked like it was “Bebop” taken directly from Teenage Mutant Ninja Turtles: Out of the Shadows (2016). The crazy thing about this movie is that there actually are some pretty good visual effects. However, for as many scenes as the visuals were good, there are others when they’re just plain bad. It’s very reminiscent to Justice League where you could visibly see the difference between the two different directors involved, and the messy production value that followed. 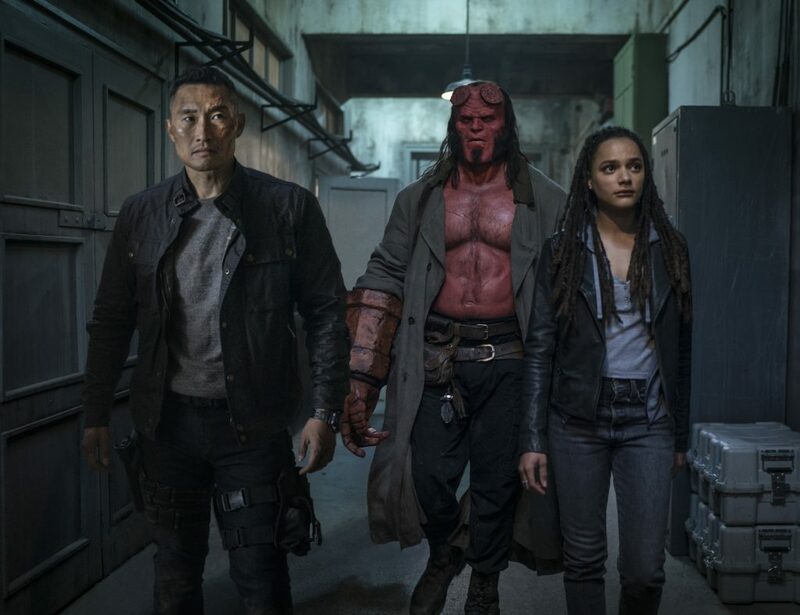 Hellboy is a mixed bag of blood, guts, corny jokes, and a discombobulated story that begs for the return of Guillermo Del Toro. The sad thing about this film is that it has two things working against it. 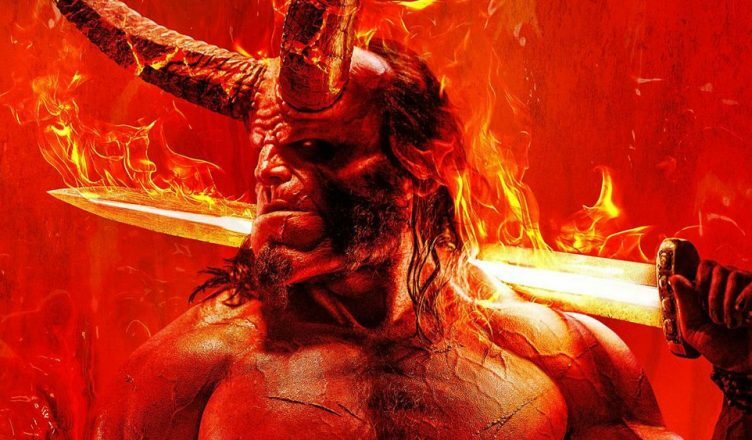 The first obstacle is the high expectation of being equal or greater than the previous Hellboy movies. The second is just the basic production quality. It essentially stumbles and falls over both hurdles. I don’t know what was going on with this movie but it felt like the creatives involved weren’t on the same page. The film showed some real glimpses of potential, but then would take a sharp turn in another direction. 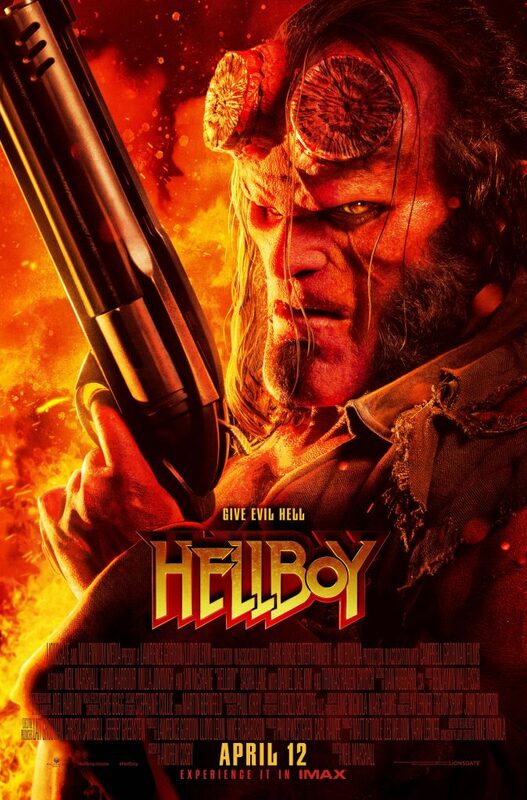 As a fan of the previous Hellboy films, I came into this remake with fairly high expectations that it would at least be an adequate rendition. Unfortunately, this doesn’t even compare to the previous Hellboy movies. I wanted to believe that graphic horror and violence, which I really appreciated, would be enough to keep me engaged in this film. However, after reflecting upon what transpired in this movie, it’s just not. In another world, this movie would’ve been so much better as a Netflix series or something. My suspicion is that IF you were interested in seeing this film as much as I was, at this point you may just be interested in seeing just how bad this movie can be. That’s totally understandable. Everyone slows down to see a car wreck out of curiosity. See Hellboy at your own risk. Hopefully with much…much…much lower expectations you won’t be as disappointed compared to someone walking in completely blind.